Caring, friendly, and fair – our vision is to add real value when meeting the needs of our clients’ legal matters. Professionalism, excellence, integrity, value, quality, innovative, exceptional – these are all words which can be used to describe our approach to our business and our clients. However, above all else, we care about our clients. We care about our clients as people, we care about their needs, and we care about providing the correct, cost-effective solution to meet our clients’ requirements. 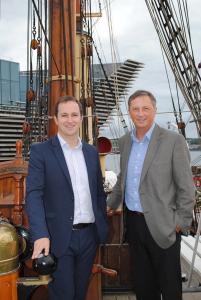 Brymer Legal Limited is a dynamic Scottish law firm created in 2009 comprising of Stewart Brymer and Scott Brymer. Brymer Legal has acted and acts for a wide variety of businesses, companies, public sector clients and educational institutions. Business lawyers assisting established SME companies and startup businesses. Highest standards at the fairest price. We assist clients throughout Scotland.